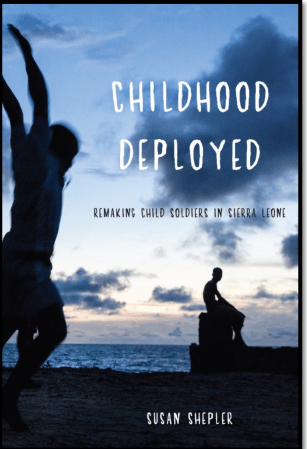 Those of you in the Washington DC area may be interested in attending the launch of Susan Shepler’s new book, Childhood Deployed: Remaking Child Soldiers in Sierra Leone. Shepler will provide a brief description of the methodology and main argument of the book. Then a panel of three distinguished anthropologists — currently working for the World Bank, the International Rescue Committee, and PEPFAR — will discuss how ethnographic knowledge can be used in child and youth policy and programming.